New York and New Jersey Family Law and Divorce Lawyers | Gorlick, Kravitz & Listhaus, P.C. At Gorlick, Kravitz & Listhaus, P.C., our lawyers represent clients in a host of domestic relations matters. Through a blend of sensitivity, care, professionalism, and powerful legal skills, we select the most appropriate legal remedies, based on our client's circumstances and objectives. Our family law attorneys represent our clients by providing legal counsel, alternative dispute resolution (ADR), and litigation. We assist clients regularly with many aspects of family law. In an uncontested divorce, parties have agreed on the terms of the divorce and simply need assistance in drafting and filing proper legal documentation. Our divorce lawyers also handle contested divorce cases, frequently characterized by conflict or complex issues that parties have been unable to resolve without legal help. 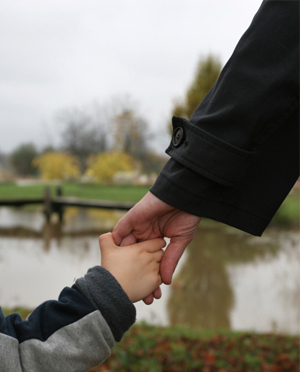 We address all aspects of child custody, based on the best interests of the children. The firm has specific expertise in handling custody cases that involve relocation issues whether for the spouse that is moving or the spouse that remains in place. Our lawyers have experience representing parties in administrative hearings when child abuse allegations may prevent someone from working with children in a professional capacity. Clients look to Gorlick, Kravitz & Listhaus for effective resolution and cost-effective approaches to domestic problems. We understand you are dealing with sensitive issues and have compassion for your situation. We are also there for you as strong litigators, with a firm hand when needed. Whether your domestic concerns involve complex issues or are straightforward, requiring minimal legal work, we encourage you to seek legal counsel. It is important to protect your rights.